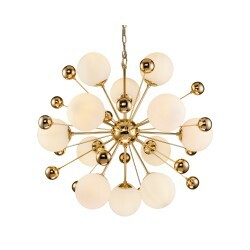 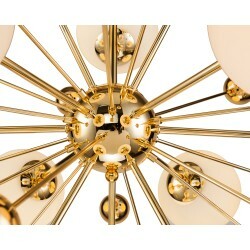 Modern designer brass and glass chandelier. 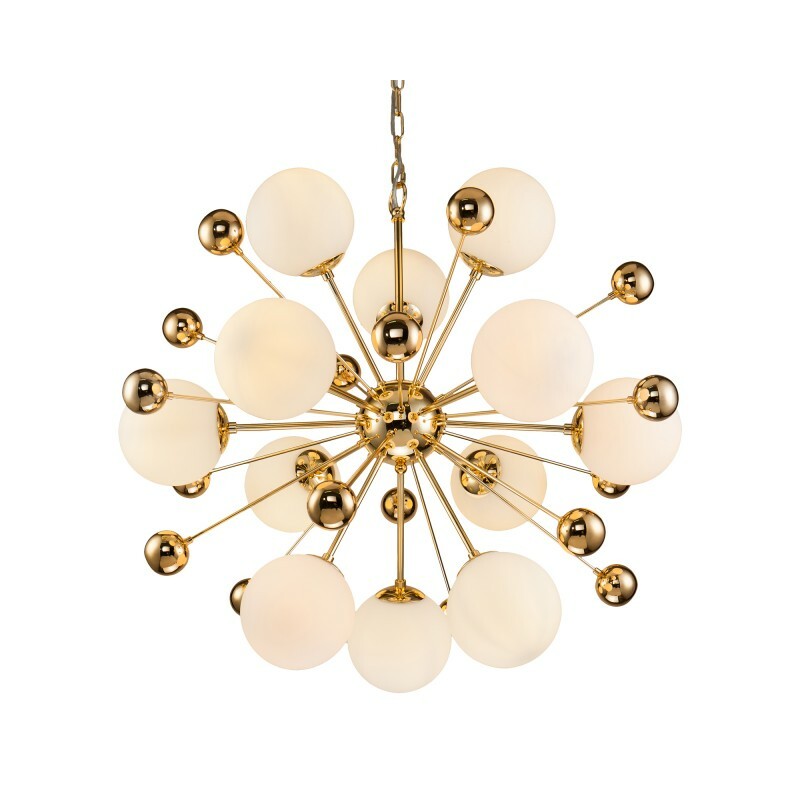 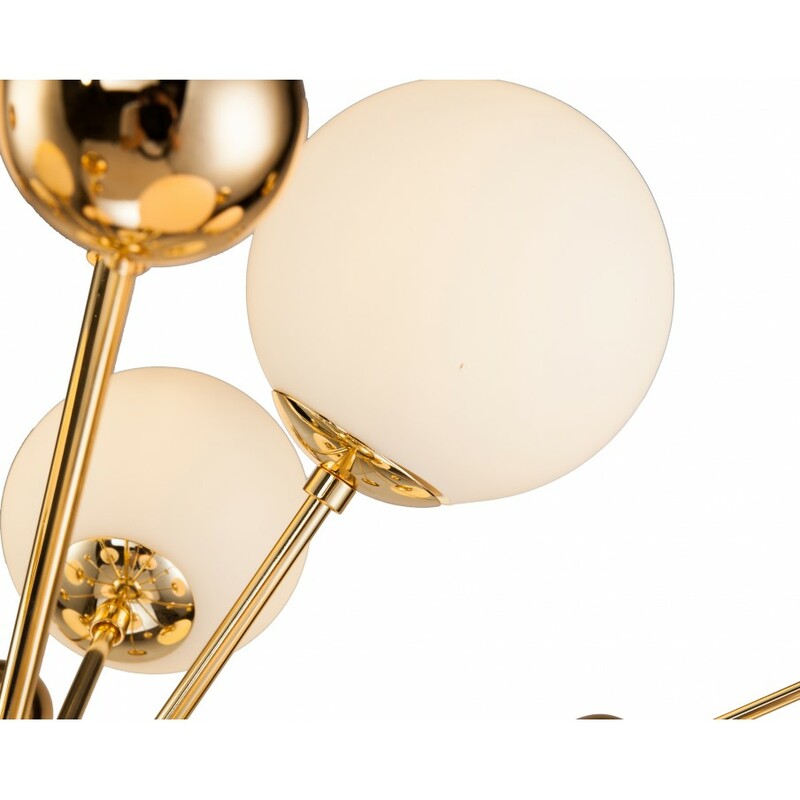 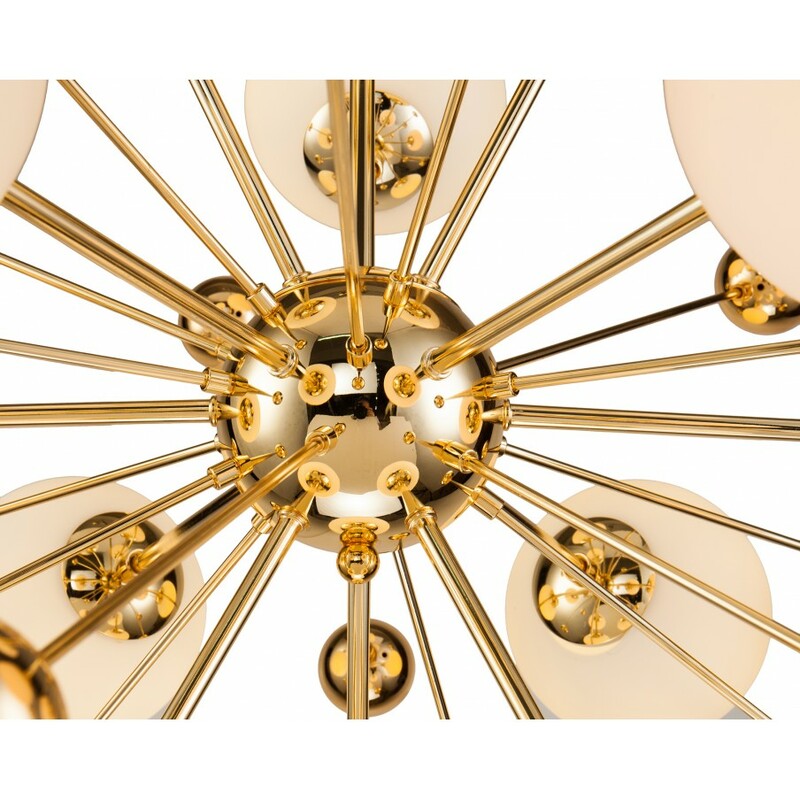 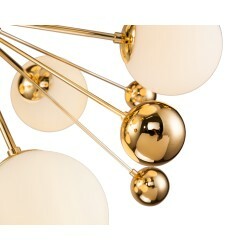 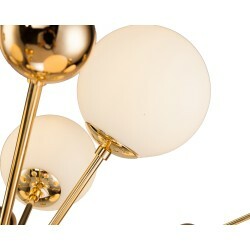 Inspired by the mid-century style, Liang & Eimil Orius Pendant Lamp is an outburst of contrasted brass and glass spheres that stems out of a large center polished brass sphere. The twelve frosted glass spheres diffuse the light beautifully and will create a radiant focal piece in your room.